Get a sneak peek at the lessons inside The Showrunner Podcasting Course as Chris Garrett and Christina Canters provide expert advice on the right way to build, and even move, your audience. Then it’s sneak peek time. With The Showrunner Podcasting Course currently in the final days of its final Pilot launch, we thought it would be useful to peel back the curtain a bit and provide you with a few short, informative snippets of BONUS interviews available inside of the course. At what point a lack of confidence is a sign that your show just … isn’t … working; and how long does it take to know? Chris and Christina are both successful bloggers, podcasters, and business owners. You will learn a lot even from just six-or-so minutes of insight from each. Also, here is the link to Sonia Thompson’s site, which is mentioned in the show: TryBizSchool.com. Welcome back to The Showrunner. This is episode number 14 of The Showrunner. I am your host, Jerod Morris. I am joined as always by my co-host, Jonny Nastor. Jonny, you and I did something rather fun yesterday. Do you want to share with the listeners what it was that we did? Jonny Nastor: Yeah, and it was fun. We did the 100th episode of Hack the Entrepreneur, and the extra-special guest, I guess, was me. You interviewed me, and it was really, really cool. It made me introspective, before. I haven’t had time to be introspective since I launched in September because I went through 100 episodes really quick. Right before, I was like, “Wow!” You sent the intro you recorded, and I was like, “Wow! 100 episodes I’ve recorded of a podcast.” It’s a big body of work. It’s a lot of people I’ve talked to and a lot of show notes and transcriptions now. It’s amazing.” I was like, “Wow! That was …” It was cool. It was really, really fun, and I’m looking forward to getting it out, I believe tomorrow. Jerod Morris: Yeah. I think that episode’s coming out tomorrow. Certainly, congratulations are in order, because that is quite a feat, especially to do it in the time span that you did it in, because it’s been less than a year since you launched. Obviously, your very ambitious recording schedule and publishing schedule has had a lot to do with that, but especially when you think about how many podcasts never get past episode seven, and now, here you are, already at 100. How does that make you feel? Jonny Nastor: It makes me feel good, and I know that obviously, my success with the show is completely based on the fact that I got past episode seven. I’ve said it so many times — I’m not necessarily a better podcaster or interviewer than anybody. I do work a lot harder than a lot of people when I find something that I just want to do. I wanted to push this show as far and as fast as I could, so I went for a high publishing schedule and just went for it, and I breezed through 100 like nothing. And 200’s going to be … I don’t know how quick. It’s crazy, but it’s impressive. So I’m happy with it. Jerod Morris: I will say, it had to be a unique position for you to be in, basically being interviewed on your own show, when you’ve done 99 of these other interviews on the other side of it. I will say that from my perspective, it was really strange sitting in someone else’s chair, because obviously, with The Showrunner, we’ve had our defined roles of what we do here, and we’ve done it since the start. Other shows I’ve had, when you start it and you’re the one driving the bus, you never get that feeling. But with a show like yours that’s already been so successful, and you do have such a defined format and some consistent ways that you say things and that you transition your listeners from one segment to the next. It was really fun and also nerve-wrecking to have that responsibility and then to try and go through and match it as much as possible while still putting my own little spin on it, but being as true to your format as possible because this is your show. I’m just sitting in the host’s chair one time because you asked me to. I don’t know if there’s any grand lessons because it’s not like it’s that often of an occurrence, but I do think for anybody, if you ever get that opportunity, take it. It’s a really interesting position to put yourself in someone else’s chair, and I had a lot of fun with it, so I appreciate you giving me that opportunity. It was really fun. Jonny Nastor: Yeah, it was totally my pleasure. I mean, now that you’re talking about it like this, maybe there is a lesson. Because as you were doing it, you did it so well, and I was listening. You put your own spin on it, but it was my questions, said my way, and you transitioned the same way. It was interesting because I mean, yeah, I’ve done it so many times, but you just get into the mode and I do it now. And to do it from the other side, yesterday, all I was thinking was like, “Wow! I’ve asked these questions 99 times, and I’ve never thought about my own answers to this question until it’s being asked to me.” It’s like, “Oh! I don’t know,” I guess because I’ve so clearly defined the show, which I guess is a lesson. I didn’t even almost so much know because I’m in it. Then to hear you do it, I was like, “Wow! He just listened.” We didn’t talk about this. We didn’t discuss how you were going to do it. You literally just listened to the show and picked up. It’s like, “Jon, this is what Jon does each time, and he brings his listeners through this.” Then you were able to do that, which is probably a good sign of a show, I would think, right? There’s a clear host. There’s a clear definition of what’s going on, like the transition I’m trying to get the listener to go through. It’s there. You could pick up on it, and I would assume that other people are picking up on it, and that’s probably why people listen to it — because they know that. Jerod Morris: It works. There’s something the audience is expecting. I mean, for me to go in there and try and do it my own way when this isn’t my show and it clearly works, it would have been a pretty arrogant move on my part. So, it was fun to try and put myself in your shoes and give the audience what they were expecting. Hopefully, I did that. Jerod Morris: No, there’s a reason why, so just call me such-and-such. You can call me Jerod. It’s fun. Hey, but all I want to say to you, Jonny, is just keep doing what you’re doing, man, because it’s awesome, and it’s amazing. Jonny Nastor: Thank you. Thank you. Jerod Morris: On that note, this is an important day. This episode is coming out on Wednesday, July 1st. We are currently in the midst of the one-week reopening of The Showrunner Podcasting Course. Tomorrow, those doors close. If you are on the Showrunner email list, you have already gotten this information. You’ve had a chance to review the sales page and see if it’s for you. If you are not on the email list, you definitely want to make sure that you do that. Go to Showrunner.FM, and get on the email list. You’ll immediately get a message that gives you the details of the course, assuming that you get on that list before July 2nd if you’re listening to this episode a little bit later. What we want to do for this episode is basically bring you a little sneak peek of what’s inside the course. 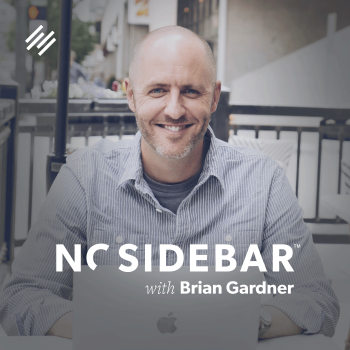 In episode 10, we talked about why it’s so important to build an email list. In episode 13, just last week, we talked about the keys to confidence. We actually expound on those topics in a big way inside of the course. We have a bonus interview with Chris Garrett of Copyblogger, where he and I talked for about an hour about some more advanced email techniques, and specifically, how you can use email not just to build an audience, but eventually, use your podcast to build a business or for your podcast to fit into an already existing business. Then I also did a bonus interview with Christina Canters of The C Method where we talked about confidence and ways to gain confidence before you have it and ways to maintain your confidence once you have developed it. What we’re going to do with this episode is play you a couple of clips from those lessons from inside of the course, so you’re getting a real sneak peek of what’s inside the course and just to give you a little more information so you can decide if giving The Showrunner Podcasting Course is something that you want to try. Jon, any final words that you want to say to preface this before we get into the clips? Jonny Nastor: I think you did it pretty well, but yeah, I believe this is going to be the end of the pilot launch for the course. This is our second one. This time, it’s only one week. Last time it was two. 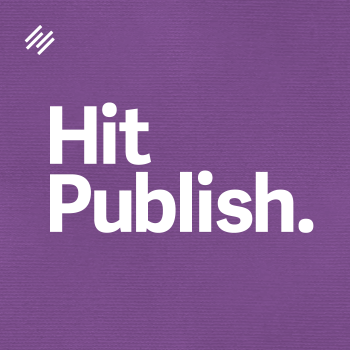 Then we go into full, big launch this summer with Copyblogger and Rainmaker.FM. That’s when I think the price gets out of our control. Jonny Nastor: Right now is the last time to get in and to get everything that we’re going to keep putting into the course and keep doing with the course and building upon. I think now is the time. The feedback has been great. I know that anybody who does decide to come in, they are going to be more than happy. If they’re not, then by all means, they have that 30-day money-back guarantee, so it is worth a shot. The feedback is really good. It makes me so happy, and the community we have within Facebook, it’s great. I hope that everyone who’s on the fence decides to take a look at that sales page and check it out and see if it’s right for you. Jerod Morris: Obviously, we wanted this episode to talk about the course since this portion of the launch closes tomorrow, but we don’t want to just talk about the course. We actually wanted to give you some value, again, by giving you real information that’s in the course. We’ll let you listen to these clips right now. It’ll be about five or six minutes from each one these. I think you’ll pick up some really good tips and really good insight so that even if you’re not interested in the course, even if all you want to do is stay with us as an audience member of The Showrunner podcast, this is still going to be great information that you can use for your own show. With all of that said, now, first will be the clip of me talking with Chris Garrett. Second will be the clip of me talking with Christina Canters, and then Jonny and I will meet you on the other side. Chris Garrett: You have all these people who have channels that have subscribers, and they have massively popular videos. But if you don’t get people on the list, then you have very little way of reaching those people on demand. You have to wait for them to find you, or you have to hope that they come back and visit. Then you find out that your channel is being closed, or your Facebook page is being cancelled, or iTunes is no longer listing you. Then what do you do? If for any reason you have to end your show but you still want to have that community and have that contact, what do you do then? Jerod Morris: Are you saying that digital sharecropping is not a good strategy? Chris Garrett: It’s not the best. Don’t get me wrong. People are successful doing all of those things right up until there’s a problem. I mean, if you look at the Google changes, people have had super successful websites that have had millions of page views and visitors a month, and then Google changes their algorithm, the way they rank sites, and decides that you’re not all you were or what people thought you were. Suddenly, traffic goes to zero. You have no way of reaching your audience, no way of getting people to come back. The email list is not just a way of building a bigger show, a bigger community. It’s also insurance against other people deciding your fate. There’s a good, a positive in that. You can grow your podcast more easily and more reliably if you have an email list, but also, it’s insurance against bad stuff happening. Jerod Morris: I think the biggest mindset shift for me is when I learned to view an email list as an asset that you’re building and really an important one when it comes to eventually turning a podcast or turning your blog or your platform into a business. As we go through this lesson, I really want to talk about that, because I know that a lot of the people when they get to this lesson, they’ll be thinking in those terms. Jerod Morris: Let’s talk about growing the list now. Everybody understands the importance of the list. They’re ready. They’re ready to get their opt-in on their site. How, then, do you provide the right incentive to get people onto a list, because we know that having the right incentive is a big part of maximizing the growth of the list? For podcasters, the obvious one is to send out episode updates. You have a new episode, and you send out an email. But a good incentive is probably going to be more than that. What incentives should showrunners be considering in exchange for getting email signups? Chris Garrett: I would say alerts that you’ve gotten your episode out is a bare minimum. It’s the least you should be doing. In my opinion, rather than just saying, “Hey, we have a new episode out,” I think it’s nice to have some context and say, “This is why you should listen to this. This is why it’s important to you right now,” because otherwise, it’s so thin that you’re not adding any value. Jerod Morris: Let me specify something there. Does that mean doing more than what you’re already doing in the show description on the site? Should it be something different, or is that sufficient if you’re providing that context in the description already? Chris Garrett: I think it can be sufficient, but I think when somebody is listening to you on a podcast, and then they take the extra step to give you an email, they want more than that. They want more than they can just view on the webpage. It could be injecting some personality. It could be a personal anecdote. It could be communicating as, “This is a community,” rather than “You’re a listener,” which elevates them from being somebody that’s just passive to somebody that’s interactive and involved. You could give a name to this community. You could say, “Hey, Showrunners or Showrunner.” Obviously, with email, it’s nice to say, “Hey, Jerod,” but I think there’s a level-up that you can take it to. Jerod Morris: Basically, giving a little bonus that only people on the email list are going to get? In my experience with dealing with companies of all sizes, everybody focuses on getting the opt-in or the conversion rate, building the list. Hardly anybody focuses on keeping people on the list, which is actually the hardest part. Getting people onto the list, traditionally, there’s been some friction there. But there’s tricks. I disagree with using tricks, but people are put on lists all the time against their wishes, let alone happily. If spammers can get you on to a list, anybody can build a list. The trick is keeping people happy on that list. Keeping people on the list and getting them to bring friends, referrals — that is vital. You have to think, it’s not just about the incentive to get people on the list. It’s also why would they stick around? If they can get that information without you being in their inbox, then they’re probably not going to stick around, and worse, they’re going to mark you as a spammer. Jerod Morris: That’s a great distinction, and I’m glad you made it. Jerod Morris: Let me ask you this question, bringing it back specifically about podcasting, because you’ve gone through this. We talked about the one type of person that it’s in the Showrunner Course, which is someone who hasn’t start a show yet. They’re going through all these things for the first time. But we also have people who do have shows, and they’re comfortable behind the mic because they’ve done it. They have all that kind of experience. But where they may be struggling with confidence is they want to pivot their show, or they want to change their topic a little bit, tilt their topic, and do something else. Maybe they’re worried that their audience won’t come with them, or that they want to rebrand it in some way. They want to take it in a little bit of a different direction, and you’ve done this. How can someone gain that confidence that it’s okay to shift gears and to do something a little bit different and know that the important members of your audience, the people who are really there for the right reasons and who you truly understand and are giving useful content to, will come with you? Christina Canters: I was afraid that people wouldn’t come with me because I did grow from such a niche audience to a more broad audience. I emailed my list of my old podcast, and I was like, “Hey, just letting you know I’m starting a new podcast, and I’ll be switching email lists, so you won’t get any emails related to this stuff anymore. I’m going to transfer you over. If you don’t want to come with me, just reply and let me know, and I’ll be happy to unsubscribe you.” Zero people did that. Everyone’s happy to come with me. I think it comes back to that idea that people are there to listen to you. I guess if your topic is radically different, like if you were podcasting about basketball and then you’re going start podcasting about real estate, I can imagine that maybe people from your basketball audience aren’t going to switch over. If it’s semi-related, I don’t think you’ll have a problem. If people really value you and what you have to offer, then they’ll come with you. I actually took a break. I took a few months off in between the end of my first podcast and the launch of my second one. My idea actually pivoted a few times within that period. You might have an idea now and go, “I’m thinking of pivoting to this.” I would say, keep mulling on that for a bit and make sure, because you don’t want to have to pivot again. My initial idea for my new podcast was purely based on creativity, and it was going to be ‘How can you be creative to stand out?’ and it was going to be aimed at podcasters, specifically, so another specific thing. The more I thought about it, the more ideas I got. I’m a big proponent of sharing your ideas with people. So tell people what you’re thinking, especially supportive people in the podcasting space. Say, “Look, I’m thinking of doing this or doing this,” and see what they have to say. Really, feel what resonates with you. I know a lot of it is that gut feeling, really. When you get excited, when you feel yourself getting excited about a certain topic, but it stays there. It’s not like an initial high and then it kind of, “Oh, maybe not.” That’s why I say “think it over,” and then a month later, if the idea is still there, then maybe move forward with that. At What Point a Lack of Confidence Is a Sign That Your Show Just … Isn’t … Working, and How Long Does It Take to Know? Maybe you tried to develop confidence, but you’re losing confidence because the audience isn’t responding. How long do you think it takes, and since we’re talking about podcasts, in terms of episodes or in terms of time, to really know and be able to make a judgment? Or is there even a way to answer that? Christina Canters: I think you do need to give it a good shot, because if after a month you’re like, “Oh, I don’t think this is right,” I don’t think you’ve really given it a much of a go. It’s just like with anything you try. You need to give it a good go before you decide whether you like it or not. For me, it took nine months of podcasting with that first one. At the same time, that was my business model, and my business model was changing, too. It seemed a bit silly to be working with business people and going into companies and doing workshops and speaking and for podcasters as well. It seemed a bit silly to have this podcast that’s for a completely different audience. So my business model was changing. For someone who’s podcasting, pay attention to the compliments you’re getting, to the feedback you’re getting. Who are the people with whom your message is resonating the most? I understand if you want to pivot down the track, because you don’t know. You don’t know if that message is going to resonate with those people that you’re trying to target. You might find that you actually get a response from different people. That’s what happened to me. In that case, it’s okay to go, “Well, I’m going to work with the people who want to work with me or podcast with the people who want to listen.” That’s a bit of long-winded answer, but it really does depend on your audience. Jerod Morris: That’s a great answer, and it’s from your personal experience. That’s why I wanted you to come and do this lesson. That’s why I’m so happy that you said yes and why I think this lesson is going to be really valuable. All right. We’re on the other side, back here with Jonny, and what do you say we jump right in to our listener question? Jonny Nastor: Yeah, I think we should. Jerod Morris: Since we’re all about role reversals this week, do you want to read the question? Jonny Nastor: Yeah, I can do that. Listener Question: How Do You Choose between a Scripted Intro and a Casual One? This is a great question, and I’m going to putt it back to you, Jerod, to answer first. Jerod Morris: This is a great question and yes, there absolutely, definitively is one that works better than the other, and it’s the one that works best for you and your audience. A little bit of a misdirection there. Really, is there one that works better? You can’t really give a blanket answer to that like, “Yes, using a scripted intro is better,” or “Yes, doing a more casual intro like we do is better.” It really is going to follow the decisions that you make based on your format, based on what your topic is, and based on your audience and what works best. Because there isn’t one that works perfectly, it may be something that you change as your show evolves. I think that’s totally okay. See what you’re comfortable with, and see what your audience responds to. If you’re working with a co-host, see where that chemistry is the best fit, and allow that to make the decision for you as opposed to any preconceived notion that it has to be this, that, or the other. That’s what I would say. Jonny Nastor: That’s a great answer, and it’s totally true. It’s based on your audience. Then me, personally, obviously, it’s completely subjective to me, but I know myself listening. Pay attention, Belinda, when you are listening to other people’s podcasts – especially for the first time – pay attention to how you react. I find myself turning off podcasts really quickly sometimes. Try out a new show, within three or four minutes, if it’s not going somewhere, I’ll go on to something else. Their content could be the greatest content in the world, but it’s just not my style. I’m all about the idea of ‘leave them wanting more.’ If you can make things quicker to me, or at least make that intro … I love the intro music with a voice behind it telling me quickly what the show is about and what I can expect to get out of it. That helps me to determine right away if this is something I want to listen to. If that’s right and that hits me properly as your audience member, and then you chat and the chat gets boring or totally off topic for way too long, then I might not make it through that. Then it’s different of course, once you become a listener of a show. You can take a lot more of people’s chatting. It is totally based on your show, and you have to feel that out for yourself. All I know is that I’ve rarely felt like, “Oh, I wish they would just talk about nothing for longer.” That’s just me, though. That’s my feeling. I think the best is always to be conscious next time. Find a couple of new shows. Put them on immediately for the first time ever, and be aware of how you react to it. Then think about yourself, and put yourself in your listeners’ shoes and just see how it works. Jerod Morris: Absolutely. Absolutely. This week’s listener question, no surprise, is brought to you by The Showrunner Podcasting Course. Jon and I have told you our thoughts about it. We’ve given you a little sneak peek with Chris Garrett and Christina Canters and their contributions to the course. We want to let someone who’s in the course tell you their thoughts about it. Sonia Thompson was one of the first people who signed up. She’s been one of the most active members of the community. I talked with her last week, actually, about her thoughts on it, and so I will play you some of those now. Just so you know, Sonia is going to be starting her own show. It’s not up yet but it will be at TryBizSchool.com. I actually got to listen to the first episode of her show. It’s a great interview. Once her podcast is up, I definitely, definitely encourage you to listen to it. Right now, go to her blog, because she’s got some really good posts up there. We love Sonia, and she loves the course. Here are a few of her words about the course. Sonia Thompson: When it came to podcasting, which was a totally different and new medium for me, getting over that hurdle of starting something that you’ve never done before, even though you know more the basic elements of the content that you’re trying to produce, it’s a whole different medium. Going through the course gave me the confidence specifically of all the moving parts that I needed to think through to be able to make this work to grow my business. If I hadn’t gone through the course, I would have been piecing things together, and I might have had a very frustrating experience and said, “You know what? This podcasting thing isn’t going to work.” Now, my mindset has changed completely, and I have a much clearer view of how to work the podcast from the launch, from the first initial eight-week period, and even over the long term. I’ve got that vision. Going through the course has given me the information and the support and the accountability that I need to be able to move forward and create a remarkable experience for my audience. Jerod Morris: Very cool. I love that phrase that you ended with right there. Sonia, thank you. You’re one of the very first people who signed up. You’ve been one of the most active people in the community. So thank you for sharing your experience with everybody now who’s listening and trying to decide if The Showrunner Course is for them. I appreciate it. Thank you for that, Sonia. Jonny, what do you say? Podcast recommendations? Jonny Nastor: Yeah, let’s do podcast recommendations. Jerod Morris: Let’s do it. The one that I’m going to recommend is probably one that a lot of people have heard of. I don’t think I’m going to be breaking any news here, but I just want to make sure that people realize what has happened. My podcast recommendation is Marc Maron interviewing President Barack Obama on the WTF Podcast. For this episode, Barack Obama traveled to Marc Maron’s garage and sat in the garage and was interviewed just like all of Marc’s other guests. The President of the United States was on a podcast. This isn’t a CNN interview that was turned into a podcast. He was on a podcast because he wanted to find a way to communicate directly with the people, and they’ve decided that podcasts are the way to do it. Obviously, Marc Maron is one of the biggest podcasters out there. Whether you’re a fan of the president or not, whether you’re a fan of Marc Maron’s show or not, whatever — don’t even listen if you don’t want to. But just the fact that this happened is yet another huge feather in the cap of podcasting. That should be exciting. I do urge you to listen, because it’s a terrific conversation regardless of your politics if you want to know how to interview somebody, especially someone that is going to make you nervous because you know Marc was nervous. But he still did a really good job of finding some personal moments, moments of connection, with the President of the United States, which is really an amazing feat. I commend the President, too, for being open and delivering good content. Then I’ll also just say, if you like that interview, go check out the interview Marc Maron then did with Terry Gross on Fresh Air, where he basically gave the behind-the-scenes about how the interview happened, what it was like. It’s a really great little piece of insight there if you liked the original interview. So, a really huge moment for podcasters though, just the fact that that happened. Jonny Nastor: Yeah, I haven’t even listened to it yet but I’m going to. Jerod Morris: It’s so great. Jonny Nastor: Did you see the download numbers on it? Jerod Morris: Oh, my God! I can’t even imagine. Jonny Nastor: I’m looking at it right now. They posted it via Libsyn. They published the numbers for them. They published the episode really, really early Monday morning, which is probably the best time to publish an episode of a podcast if you’re only going to do it once a week. Within 24 hours, that episode was downloaded 735,063 times. Jonny Nastor: Then more than 900,000 times in the first 36 hours. Jonny Nastor: That’s serious download numbers. I know we don’t want to focus on download numbers, but it shows the power of podcasting. I mean, then with the president obviously, it helps, and it expands Marc Maron’s audience. It’s amazing. Jerod Morris: It was huge. Jonny Nastor: Yeah. I mean, I have to listen to it, and I urge everybody. It’s a great recommendation, because everybody should listen to it. And 900,000 people did apparently in the first 36 hours. Jerod Morris: The lesson, as always: if you want to drive download numbers, book the president. Is that in your Secrets to Booking Awesome Guests lesson inside the course? Jonny Nastor: Yeah, that’s number three, I believe. My recommendation for the week is The Writer Files. It’s from Rainmaker.FM. It’s been a while since we’ve done a Rainmaker show, and this is one of the newer shows now. Kelton Reid is the host. He does a great job. This started off as posts with text on Copyblogger. Jerod Morris: Yes, it did. Jonny Nastor: Now, they’ve moved over, and he’s now he’s started doing an audio version, and it’s a great, great show. This episode is Austin Kleon, the artist and author. They do a great show, so that’s my recommendation for the week. 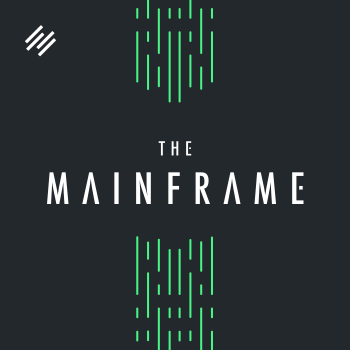 It’s the latest one from this week, so you can find it at Rainmaker.FM — The Writer Files with Kelton Reid — and the guest was Austin Kleon. Jerod Morris: You and I both found out about this particular show during an Authority session that we did with Kelton. It was interview on interviewing. We went meta again. For anybody who’s listening, if you’re in Authority, Copyblogger’s Authority, go over there, and if you look in the seminars, you’ll see the session that Jon and I did with Kelton Reid. If you want any more insight on interviewing, give that a listen. It’s there for you. Jonny Nastor: Yeah, that’s actually why I had to go listen to it, obviously, because you were asking him questions about interviewing, and I’m like, “Man, this guy really knows this stuff, this Kelton guy.” I am an Austin Kleon fan, so it made perfect sense. It’s a great show, and I’m going to go back through and listen to the rest of The Writer Files because it’s good. Jerod Morris: If you just like deep, awesome voices, then just listen to Kelton talk, because his voice is the envy of us podcasters everywhere. Jonny Nastor: Damn you, Kelton. Jerod Morris: Damn you, Kelton. Funny story, he and my dad went to the same high school. Crazy. Jonny Nastor: Really? That is funny. Jerod Morris: Very crazy. 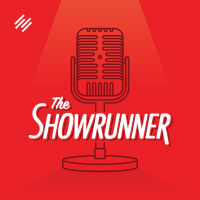 I think it’s time to wrap up another episode of The Showrunner, and the call to action this week is simple: if you’re not on the email list yet, join the email list, Showrunner.FM. You’ll see it. You can’t miss the form to submit your email address. Not only will you immediately get the details of the course so that you can check out the page, decide if you want to join, you will also get updates about new episodes. We’re going to do some more stuff with the email list, too. Especially, if you’re a new listener or maybe you’re not sure which of our early episodes you really need to listen to, we’ll start doing some stuff where we’re going back through the archive with you and giving you a little starting place and helping to guide you through the archive. There are many, many reasons to get on the list. Choose whichever one works for you, and then go to Showrunner.FM, and get on there. Jonny Nastor: I’m going to extend out the call to action a little bit. I’m not going to add a second call to action, because that’s not how you do it. I’m going to just add on a little bit. The course, again — pilot launch closes tomorrow. If you have any questions, Jerod and I are all over Twitter. You can, by all means, come on there and ask us anything you want about the course if you have any specific questions, and we’ll be there to answer them for you. You can find us @ShowrunnerFM or I’m @jonnastor and then @jerodmorris. Jonny Nastor: You can hit us there and ask us any question if you wish, and we’ll be glad to answer you. Jerod Morris: Absolutely. Let’s close this up, Jonny. Hopefully, we’ll see a lot of you inside of the course. Take care, everybody. Jerod Morris: Aloha, right? Doesn’t that mean hello and goodbye? Jonny Nastor: It could. I don’t know anything about Hawaii. Jonny Nastor: Just Canada, yeah. I barely know that. Jerod Morris: All right. Let’s get out of here. All right. Good stuff. I’m stopping the recording. Thank you Sefa! Welcome to the audience. 🙂 We’re happy to have you. Great episode, Jerod! I’ve had a bunch of new listeners lately but I still seem to have trouble growing my list, despite offering that “added value” that Chris talks about. I’ve tried promoting on social media to no avail. Any tips there? I will admit that I wasn’t entirely surprised at your answer 😉 I started second guessing myself when a very experienced podcaster I know recommended a chat session at the start of each podcast. She it helps people connect with you. Personally, I agree with John in that I prefer content driven podcasts to skip the waffle and get into the meat. Long, chatty intros drive me bonkers! I think we’ll try and chat but only when we have something interesting to share. I appreciate your thoughtful responses!